It is very difficult to state how you should tailor a CV for the retail profession as there are so many different types of job and career opportunities within retail. Therefore, an article on this subject can only really encompass a general overview and so it’s important that you follow examples of good practice which are relevant to the specific role which you are applying for. However, here are some general tips to follow. 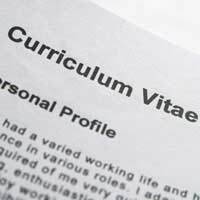 Once you’ve put your name and contact details at the top of your CV, many CV experts indicate that CVs which begin with a brief personal profile, consisting of perhaps 3 or 4 bullet points featuring one line each can say a lot about a candidate and done well, it is a very effective tool to ensure that your CV does not end up on the ‘slush pile’. HR personnel may be sent hundreds of CVs, especially if they’re in response to an advertisement so it’s important that yours makes an early impression because if you fail to impress within as little as 10 or 20 seconds of someone in HR looking at it, your CV may not even be read beyond the first few lines. As you can see from the above, this information in just a few short lines after your name and contact details has already demonstrated some of the key components of what retail companies are interested in for, perhaps, a sales position and you should tailor your personal profile to the area of retail you are most interested in. These should be two separate sections but the order in which you put them should be determined by their importance. For example, if you’re applying for a graduate position and your only experience of retail is a summer job working on the shop floor, yet you’ve just graduated with a degree in Retail Management, you’ll want to put your education and qualifications first. Likewise, if you’ve got years of retail experience, you should place more emphasis on that. If most of your experience is academic, also indicate those aspects of your course which are most relevant to the job you’re applying for. When it comes to employment, work backwards from your current position in a chronological order. If you’ve been in employment for many years, only go back over the last ten years or 3 or 4 jobs. When giving details of each employer and your job title, follow that with ‘main duties’ and give a brief one or two line summary of the main aspects of your role and outline any outstanding achievements. Here, it’s useful to include a few buzzwords. Towards the bottom of your CV, you can include a section on hobbies as it’s interesting for companies to find out a little bit about what makes you tick but you should only include things that give added value and keep this section brief. For example, saying that you captain your local football team gives added value because it demonstrates leadership whereas saying you enjoy watching TV doesn’t tell an employer a great deal. Finally, it’s better if you simply state ‘references are available upon request’ as opposed to putting down names and contact details of specific individuals as it’s unlikely that you can ever be sure that the person(s) named will always be contactable. A CV, remember, is only there to get you invited to an interview not to get you the job itself so references can be sought later if need be. Finally, make sure your CV is no longer than 2 sheets of A4 paper and that you’ve checked it for correct spelling and grammar.